Customs duties for all industrial and agricultural products coming from Serbia into the EU (aside from only a few agricultural products protected by the preferential tariff quotas) were abolished by the EU in 2000 with the application of the Autonomous Trade Measures. This regime was unilaterally granted by the EU to Serbia in 2000 and it represented the most extensive trade concessions regime that was ever granted by the EU to any country or group of countries. This meant that the EU had immediately abolished all customs duties and quantitative restrictions on imports of all industrial and agricultural products, aside from only a few agricultural products that are under the preferential tariff quota regime (sugar, baby beef, wine and a few types of fish). 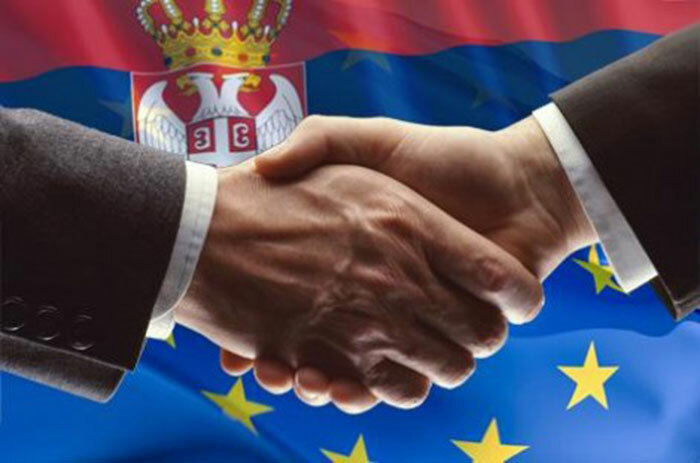 For Serbia, the reduction of import duties for goods originating in the EU started nine years later in January 2009 when Serbia voluntarily initiated the implementation of the trade-related part of the Stabilisation and Association Agreement, called the Interim Agreement. This agreement introduced asymmetric trade liberalisation in favour of Serbia for both industrial and agricultural products. In other words, since 2009, trade liberalisation on the Serbian side has been following a gradual and predictable six years’ liberalisation schedule, reflecting the level of sensitivity of products for Serbian producers. At the same time, a level playing field was being gradually introduced through the implementation of a predictable customs regime, anti-trust, state aid rules as well as the intellectual and industrial property protection regime in Serbia. This gradual trade liberalisation schedule was supposed to enable Serbian producers to progressively prepare for growing competition from the EU. From January 1, 2014, Serbia and the EU have reached the sixth and final year of the trade liberalisation schedule. However, the most sensitive agricultural products for Serbian farmers will remain protected with customs duties until Serbia’s accession to the EU, notably all kinds of meat, yoghurt, butter, certain types of cheese, honey, certain vegetables and flour, with their tariff protection ranging from 20% to 50% of the most favoured nation (MFN) duty that Serbia applies to the rest of the world. The entry into force of the Stabilisation and Association Agreement in September 2013 further reinforced economic benefits of the Interim Agreement. A number of new provisions contributed to improving the business environment in Serbia, including provisions related to the free movement of capital, public procurement, standardisation, rights of establishment and supply of services. These policy changes provide a clearer and safer framework for investors and businesses, thus creating new momentum for the Serbian economy in attracting investments and improving the level playing field. Implementation of the Stabilisation and Association Agreement is supposed to raise standards of doing business for Serbian companies, gradually preparing them to compete with the EU companies on the Single Market and increasing their competitiveness in the long run. For Serbian citizens, this should generate more variety of choice and decrease the prices of goods. Finally, the gradual opening of the market for public tenders to EU companies should result in more competition in public procurement procedures and is supposed to consequently bring better value for money to Serbian tax payers – better public works, supplies and services with less tax payers’ money.